Excerpt: What we know is that composting toilets have clear ecological and economical advantages over flush toilets. They turn waste into compost, and the compost can fertilize crops, completing a circle of nutrients that saves soils and saves money. They save money in the costs of sewage and in fertilizer. Importantly, they also require much less water. 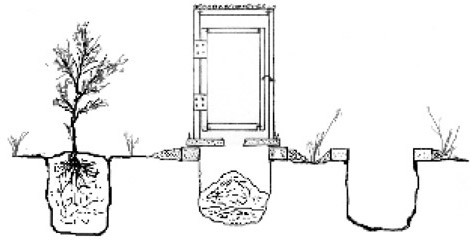 Those arguments for composting latrines are well documented and have been made for years, but how do they compare in hygiene and how do they fare within the cultures of the different people who use them? Do they limit the spread of disease as well as a flush system with a septic tank or a sewer might? And do they feel as comfortable for families to use? Are they as accessible? And are they really the most sustainable solution in global sanitation? To answer these questions, Jeff Deal the director of health studies at the water and sanitation engineering non-profit Water Missions International, is raising money through the site that crowdfunds scientific research, experiment.com. The goal is $22,000, which Water Missions International will match to pay for the study. This entry was posted in Sanitary Facilities and tagged composting latrines, latrines. Bookmark the permalink.